1 Potato boiled,deskinned and chopped into small pieces. 1 Capsicum chopped into small pieces. 2 tbsp boiled Corn kernels. 2 Spring Onions with greens chopped. For Serving Hummus or sauce of your choice and toasted white/brown bread. Heat 1 tbsp oil in a non stick pan,add chilli flakes. 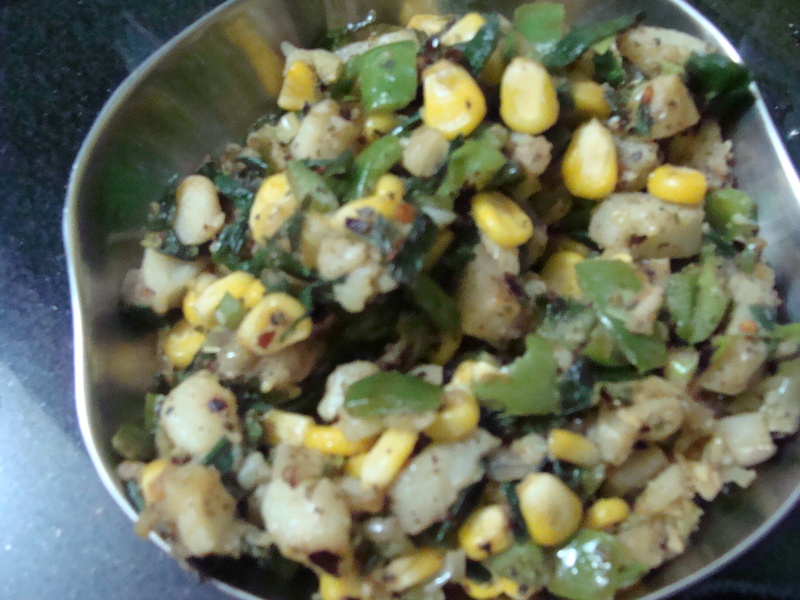 Add chopped spring onoin and stir fry for a minute,add corn and capsium,stir fry well,add chopped potatoes,salt,pepper powder and mixed herbs.Mix well. Remove in a plate and keep aside. 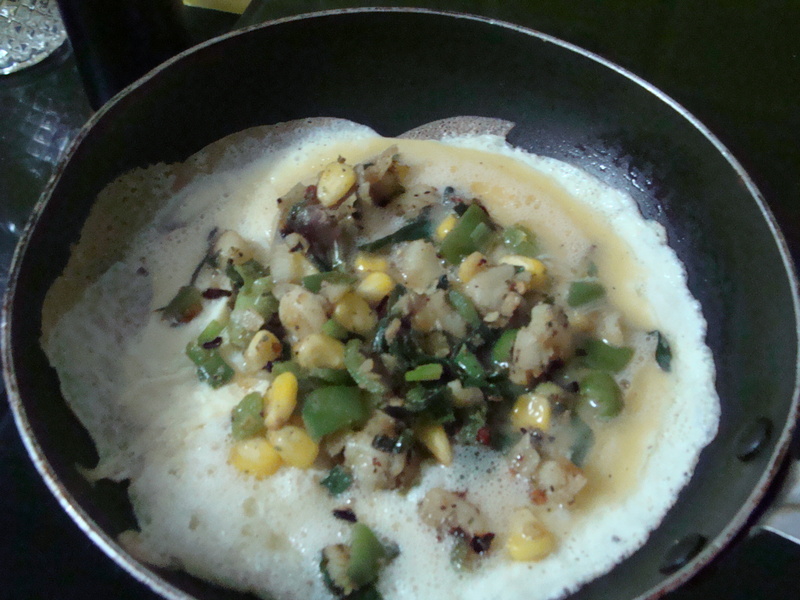 Add salt and pepper powder to beaten eggs,beat further till lightand fluffy. Heat 1 tsp oil in a non stick pan. Add the beaten egg mixture,spread in a round shape using spoon. 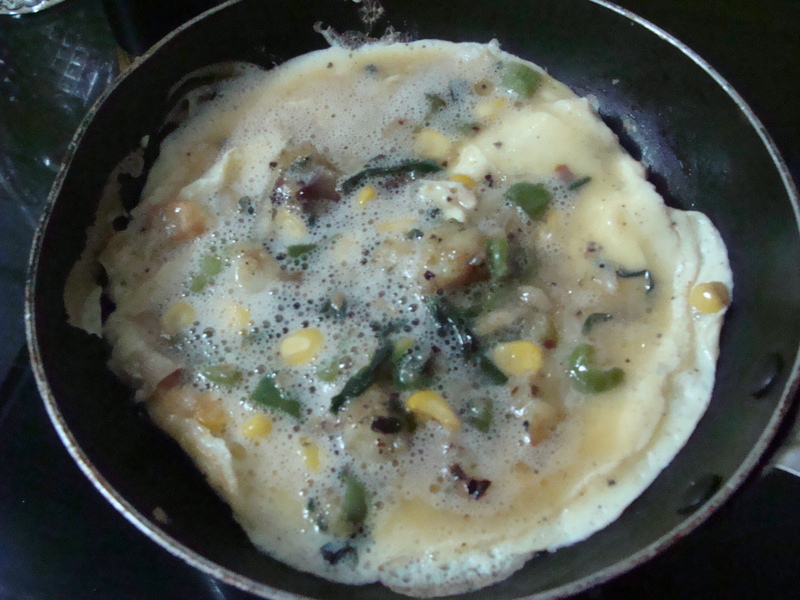 When cooked from one side add vegetable mixture to it. Top it up with more beaten egg. Cover and cook till egg is well set. Turn around and cook on another side. Remove from pan,cut into pieces and serve hot with hummus or sauce of your choice and toasted white/brown bread. 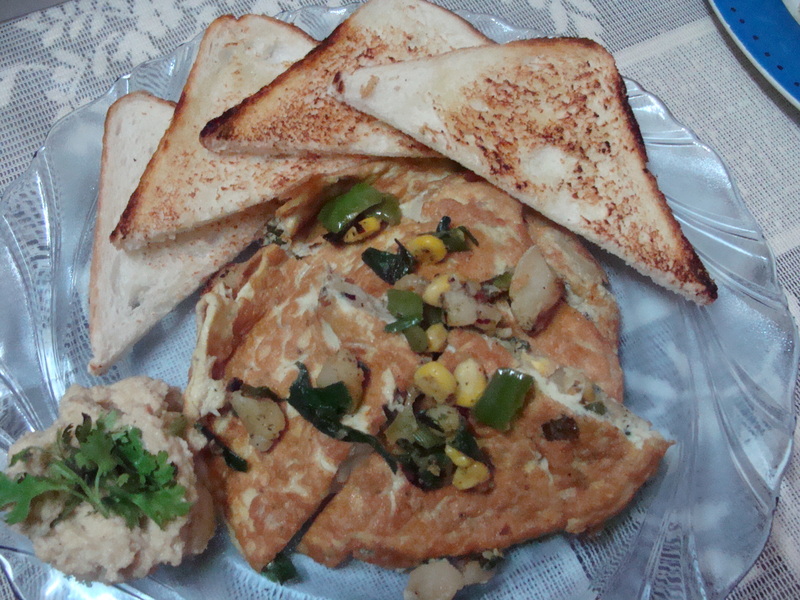 Tip:Grated chesse can also be added to vegetable mixture.